We supply software and licensing, hardware and training solutions to UK academic institutions and charitable organizations. These sectors have different requirements. We therefore have dedicated account managers that specialize in each. Add in our competitive pricing and the in-depth knowledge of our experienced, qualified staff, and you’ve got a one stop shop for schools, universities, colleges and charities in search of leading products and the very best service. BlueBrick.ie is part of the HEA Strategic Innovation Funded project: Flexible Learning. 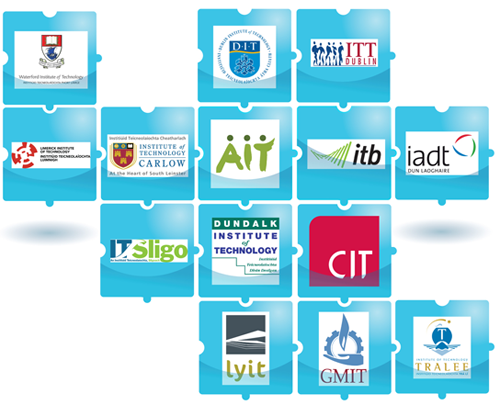 This project represents 14 institutes of technology including DIT. BlueBrick.ie is student focussed information portal. The portal provides information on academic programmes, modules and accredited professional courses suitable to future career/business needs. The availability, costs and means of access to the relevant modules, and modes of delivery will also be provided through BlueBrick. BlueBrick does not teach, deliver, accredit or evaluate any academic modules. It is exclusively an information and access portal. Through a modular approach, BlueBrick will enable individuals register for modules in an area of interest, from those on offer by the institutions and accumulate credit towards a graduate or postgraduate award. Registration for a single module to develop a particular interest is possible, with some modules designed to accommodate people in employment, or those who are seeking an opportunity to upgrade and advance their knowledge in their chosen discipline or area of employment. It allows individuals continue their learning through taking future modules at their own pace, in their choice of institution, and still be able to group those modules together to create a national award. This approach allows maximum flexibility to the individual while steadfastly protecting the autonomy of the institution and rigorously upholding academic standards. The BlueBrick solution is a flexible, responsive offering to the individual student aiming to obtain that work / life balance. Enovation Solutions Ltd. is a business and information technology company specialising in professional services and managed solutions. Our highly experienced senior management team and 90+ IT consultants have successfully implemented bespoke, third-party and open source solutions to a wide client base in the finance, government, health and education sectors. We are valued for our attention to quality, our ability to manage complex projects and our commitment to delivering on-time and within budget. Learning Objects, Inc. is the leader in enterprise-scale social software for learning. Campus Pack, powered by Learning Objects, Inc., is a social learning platform that combines Web 2.0 technologies, including wikis, blogs, podcasts and more, with any e-learning environment. Campus Pack is deployed as Course Components, which seamlessly integrate into any VLE; as Personal Learning Spaces, where students and instructors manage and share academic and co-curricular content; as Community Areas, which enable departments, organizations and ad hoc communities to collaborate both inside and outside the institution. Elluminate provides proven, best-in-class solutions for real-time online learning, web conferencing and collaboration. Elluminate delivers exceptional results across the enterprise, including engaged participants, enhanced learning experiences, increased retention and completion rates, and higher ROI. The Elluminate Learning Suite enables instructors and students to interact and collaborate in real time to add synchronous content to asynchronous learning activities. Engage more people in more ways to promote active learning and improve student performance. Elluminate has served hundreds of millions of web-collaboration minutes to millions of people located in over 185 different countries and has achieved seven industry award during the last year. O2 are delighted to support the Edtech conference here in Athlone, and wish all involved every success with the event, as we see technology playing an increasingly important role in education. Having mobile broadband in Ireland is crucial for students; and so O2 has made it even easier to ensure all students are able to get set up with mobile broadband with some of the best mobile broadband deals available. Offer are available for students with O2 and HEAnet for mobile broadband from ¬9.95 per month. Select the best mobile broadband contract that will work for you. Contract length for the ¬9.95 monthly plan is 12 months, or you can just connect for the length of the student year on the ¬12.93 plan which has a 30 day rolling contract. Additionally, check to see when we will be visiting your college on www.campus.ie . 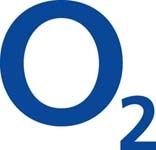 To discuss your options, simply call in to any O2 store so you can avail of the best mobile broadband deals we offer. *All O2 Broadband Plans have a data usage limit and a charge of 2c per MB applies for all usage in excess of the data usage limit on your plan. Please note the wireless routers supplied for the conference are available to purchase in store, and are an excellent wi fi resource, in addition to boosting performance and coverage in the home or office. HEAnet is Ireland’s National Education and Research Network and is a collaborative endeavour between its member institutions. Dedicated to the education and research communities, HEAnet now has over 50 member institutions. These include Universities, Institutes of Technology, and other Education and Research bodies. In addition, HEAnet provides services to Ireland’s 4,000 primary and second level schools. With a commitment to research and e-learning, and with proven experience in building and operating world-class e-infrastructure, HEAnet provides high quality, value-for-money Internet services to circa 1,000,000 students and staff across all sectors of the education and research community in Ireland. With e-learning software tools that empower anyone to quickly and easily create engaging courses, presentations, quizzes, and surveys, everyone ends up looking good. At Articulate, our mission is simple. We make everyone involved in organizational e-learning — subject matter experts, trainers, and instructional designers — into teaching and training heroes. Fronter is among Europe’s leading providers of learning platforms to the educational sector and is now under ownership of Pearson Ltd. The Fronter Open Learning Platform enables the creation, management and sharing of knowledge through collaboration over the Internet. Customers range from schools in the capital cities of London, Oslo, Helsinki, Copenhagen and Stockholm, to colleges, universities, trade unions and a wide variety of organisations throughout Europe. In Norway, the majority of higher education establishments use Fronter as a campus wide solution with full MIS integration. Fronter UK Ltd is an accredited Becta Learning Platform Services Supplier and Fronter is a four time winner of the European Seal of e Excellence in Multimedia. The cost, effort and complexity of developing eLearning content for courses is a significant barrier to successful usage of learning technology and blended Learning. Therefore the National Digital Learning Repository (NDLR), as part of the HEA’s strategic initiative to support greater collaboration in eLearning within the higher education sector, has been set up to support access to and provide support for the development of sharable digital learning resources. GOinteractive are Ireland’s only dedicated supplier of SMART Interactive Whiteboards Ireland’s No. 1 Interactive Whiteboard. GOinteractive supply the best value package, tailored to your exact needs and with the right level of training, support and back up to ensure you have total confidence using your SMART Board now and in the future. We also supply a full range of teaching resources that can be used to broaden the functionality of your Interactive Whiteboard. Visualisers that allow you project and capture textbook or 3d images or create short movies to show on your SMART Board. Audience response systems are simple to use in either a classroom or conference situation letting you measure your audiences understanding and of your presentation or lesson in real time. Please visit our stand to see our great Edtech conference offers. Please visit our website www.gointeractive.ie for further details. Today’s lecturers will one day enter classrooms in which every student has a personal computer connected to a wireless network. Emerging technologies such as podcasts, electronic portfolios and multimedia projects already hold the promise of learning experiences that foster interaction, collaboration and enthusiasm. The ubiquity of computing provides teachers and students the opportunity to create new and engaging learning environments that improve student achievement and enable students to develop 21st-century skills. With Apple solutions, higher education establishments can prepare future teachers to be comfortable, well trained and proficient with the computer as a teaching tool so their students can realise the educational benefits of innovative technologies. Eurotek is an Irish company specialising in the Audio-Visual Communications Equipment sector. The company was formed in 1967 and specialises in design, supply, and installation of Audio Visual Display systems, Broadcast Television systems, Digital Video Production systems and Computer Graphics systems. From its headquarters in Sandyford, Dublin, Eurotek services the needs of clients throughout Ireland, the UK, mainland Europe and the Far East. The Eurotek team includes specialists in IT networking, video engineering, design, integration and sales.